While carrots, apples, and similar fruits make for great go-to treats for your horses, it never hurts to change things up every now and then, which all of us can certainly attest to when it comes to trying new sweets. If you’re looking for something you think your horses will like, you might want to try out this recipe for sweet Manuka honey brittle! Even if you consider yourself to be an amateur baker at best, this recipe is a fairly simple one to test your skills on, and the end result will have your horses begging for more with just a quick whiff of this sweet brittle. 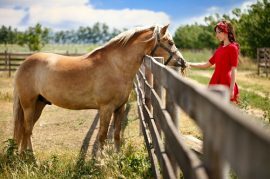 With that in mind, if your horse takes a liking to this brittle, make sure you don’t overuse it—just as you would with his other treats, as a spoiled horse can be difficult to control. So, if you think your horse would enjoy this treat (in small amounts), let us get started on that sweet Manuka honey brittle! In a deep pot, combine the Manuka honey, the sunflower seeds, the almonds, the sesame seeds, the cashews, and the sugar. Bring the mixture to a boil on a high-heat temp, stirring consistently until the sugar dissolves. Continue to boil the mixture until your candy thermometer reaches 300 degrees Fahrenheit. Remove the mixture from the heat. Note: If you reach this step and you lack the necessary candy thermometer to check the temperature, drop a little bit of your brittle mixture in a glass of iced water for testing the temp. If the brittle mixture hardens, you’re ready to go. Stir in the baking soda and the butter carefully, which should cause the mixture to fluff up considerably. Spread the mixture on a buttered-up baking sheet, allowing it to cool down completely, which should take around one hour. Break the brittle into pieces of any size you prefer. You can feed the brittle to your horses immediately (preferably in small amounts), or you can store the cooled brittle inside an airtight container, preferably in a dry, cool place for a max of one week. Need to order some Manuka honey to make this recipe? Click here to get your order started and remembers, we offer FREE shipping on all orders of $150 or more!